Our first congressional briefing is this Tuesday! You are invited to the release of the Speak Up 2013 National Findings for K-12 Students! Speak Up is an initiative of Project Tomorrow, the country’s leading nonprofit organization that works to make students’ voices heard in education. Each year, the Speak Up National Research Project polls students, parents, and educators about the role of technology in education in and out of the classroom and their views and aspirations for how technology should be used in the future. In 2013, an astounding 403,000 online surveys were submitted from stakeholders throughout the education community. Please join us on April 8th to receive a copy of this year’s report on the views of K-12 Students about the role of technology in the classroom and hear directly from a panel of students themselves on topics such as mobile and flipped/blended learning, school to home communications, broadband capacity and designing the ultimate school for today’s learners. From the Department of Education to the Federal Communications Commission to the halls of Congress, education technology and digital learning is on everyone’s mind. The data collected by Speak Up provides the on the ground information needed to guide policy makers as they work to help students, educators and parents leverage technology to improve teaching and learning for the 21st century. Please visit our website at http://www.tomorrow.org/speakup/speakup_congress_rsvp.html to RSVP. Lunch will be provided. Mark you calendars! 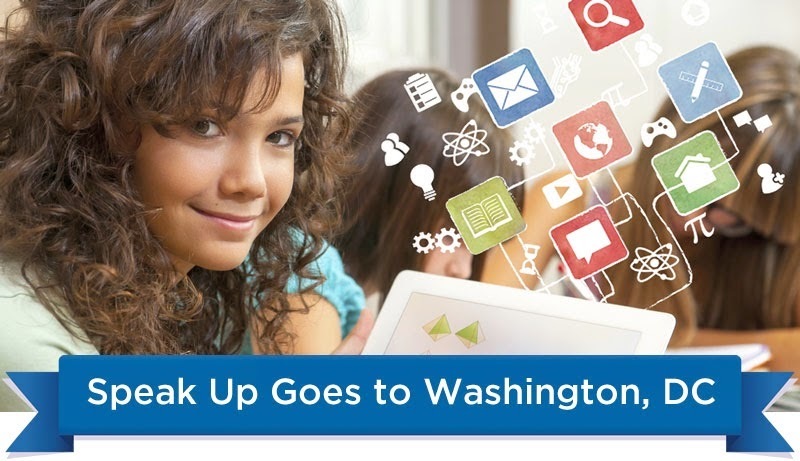 Plan to join us on June 2nd for the 2nd Speak Up Congressional briefing focusing on the impact of digital learning tools to support college & career readiness! This entry was posted in congressional briefing, Speak Up, Speak Up 2013 on April 4, 2014 by project_tomorrow.